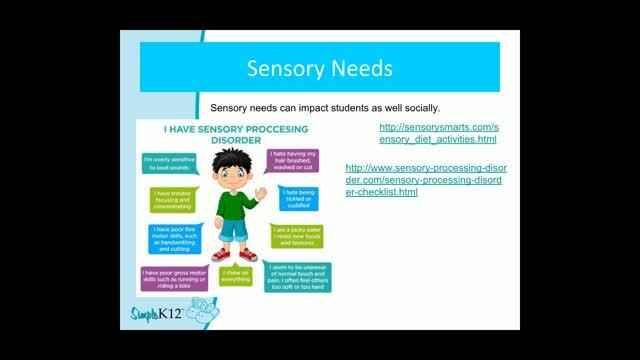 Students with Autism Spectrum Disorder frequently share unique characteristics and can present distinct challenges. Most have difficulty with social skills and, at times, many of them have behavior problems, which can often be related to their poor social skills. 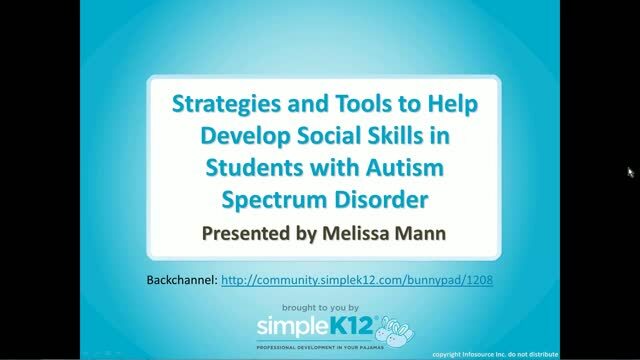 In this webinar, join Melissa Mann as she provides strategies for dealing with these behavioral issues and for helping students with Autism Spectrum Disorder. 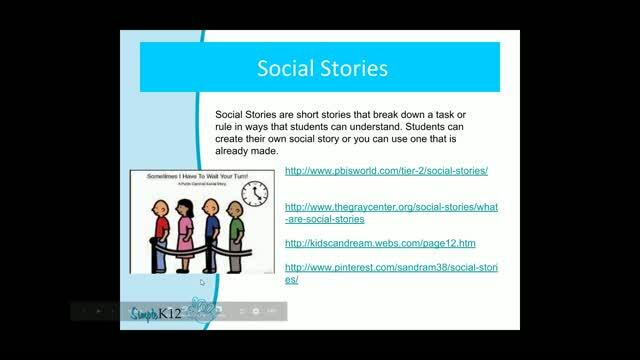 Melissa will share how to use social stories, picture symbols, behavior strategies, and more to help these students improve their social skills. All online tools, apps, and resources shared will be free or very low cost. While many of the strategies and tools discussed are geared to elementary-age students, some older students may find them helpful as well. The links are to keep - they will certainly help me. I know I do not know enough in this area. Thanks. It's very important to strengthen their social skills. THanks for all the info! Good resources and very helpful. 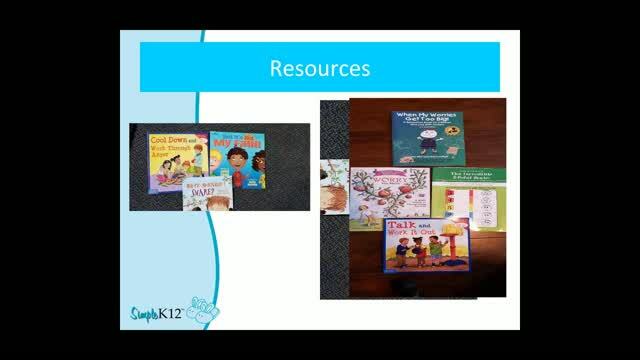 Fantastic resources and clear and concise presentation! So very helpful!